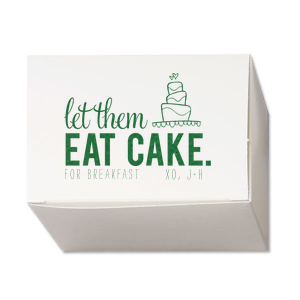 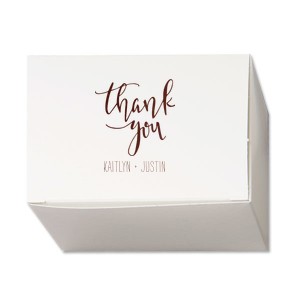 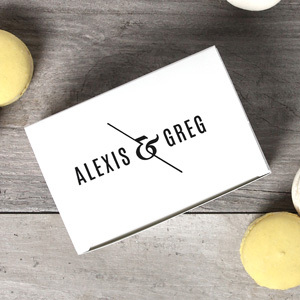 Send your wedding guests home with an extra portion of your delicious wedding cake in personalized favor boxes! Choose a design that reflects your wedding day styling, or upload your own personal monogram or wedding design. Personalized today, and give your wedding favors an extra touch of personalization with customized wedding cake boxes. 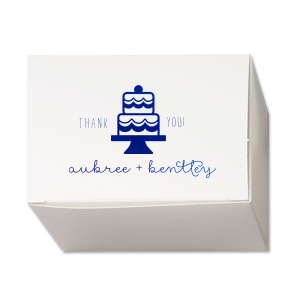 Share an extra portion of your delicious wedding cake or other tasty wedding favor in your personalized wedding favor boxes! 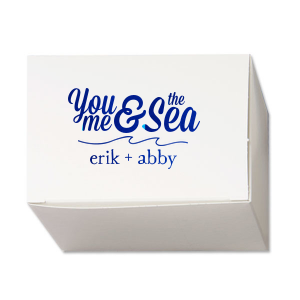 Choose a design that reflects your wedding day styling with the FYP Customizer, with a library of designs and dozens of foil stamping color options. 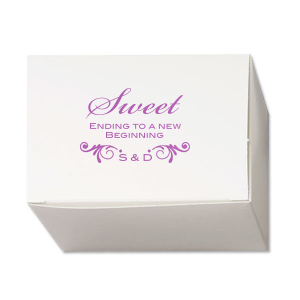 Custom design your wedding cake boxes to match your wedding napkins and other paper products, or add a thoughtful message like “sweet ending to a new beginning.” You will love the extra touch of personalization your custom designed wedding cake boxes add to your wedding day! 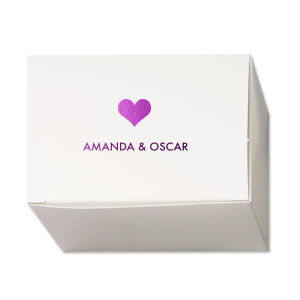 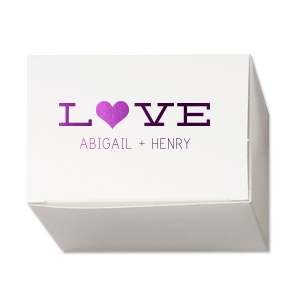 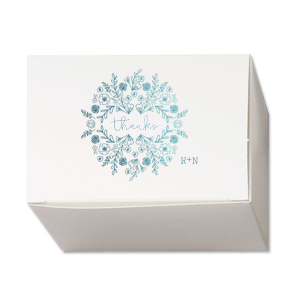 Make a lasting impression on your wedding guests with your beautiful personalized wedding favor boxes.